I spent this morning at Papel Principal in San Telmo, Buenos Aires, printing some cards for a pilot project: La Libreria Ambulante (more on that soon). It was interesting hearing about the story of letterpress printing in Argentina from owners Paula and Nati. Also at the workshop was Melina Zukernik, author of a new guide to dog-friendly locations in Buenos Aires. Any visitor to the Argentine capital will know how omnipresent dogs are in the city. Professional dog-walkers cycling one-handed along the cobbled streets, the other hand grasping a clutch of leads and a pack of dogs in tow, dog mess fouling even the smartest of streets in the city, and stray dogs sniffing around looking for food are all common sites. What a brilliant idea then to write a guide to places in the cities where dogs are welcome – cafes, bars, restaurants, shops, cultural centres etc are all in the book. 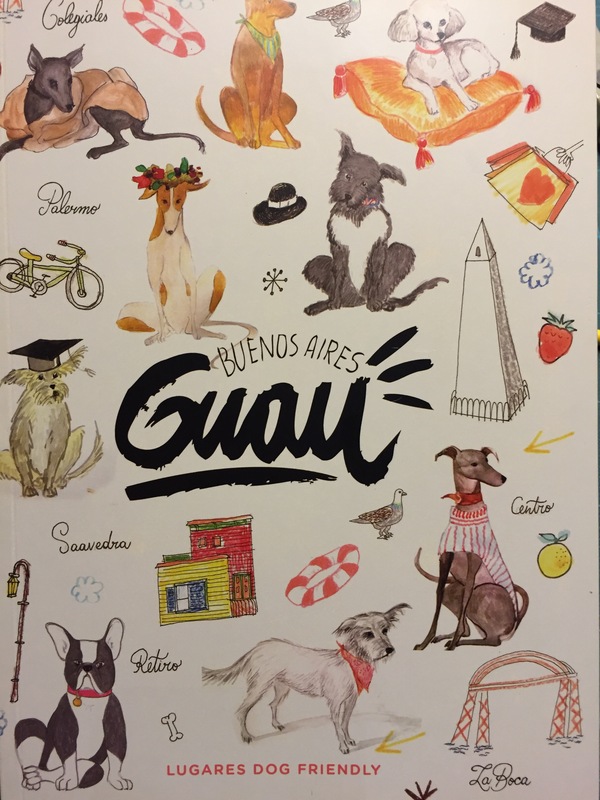 Dogs aside, in this cool little guide to Buenos Aires, each page dedicated to an dog-friendly venue, with a photo of a resident or visiting dog in situ. Surely an idea that could be adapted for other locations around the world?